We don’t mark stuff like this very often but the BTB hit counter ticked over the 100,000 mark today. 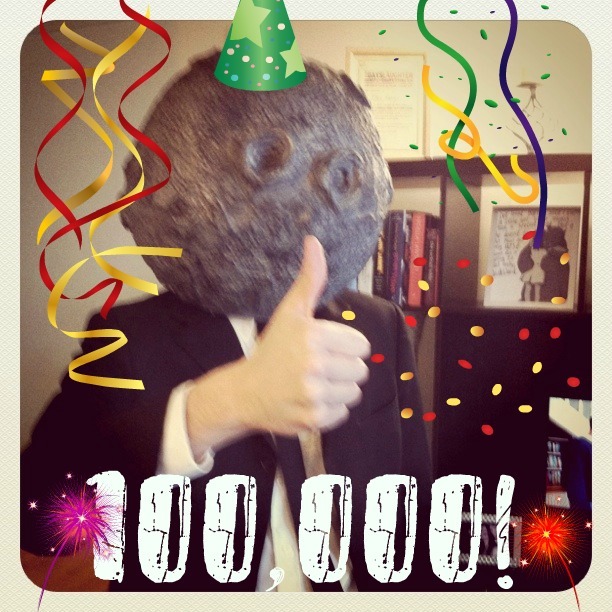 For a young site, entirely run by 2 people, it’s a good number and we’re very proud of it. Thank you for all the support that has been shown to this site since we opened our doors just over a year ago, we’ve grown massively and we continue to grow every day. Please keep telling your friends about us, checking back for new content and (if you can afford to) buying our comics. In return, we will continue to put out as much content as we can over the next 100,000 hits. More Practitioners, more comic and movie articles and of course much much more Moon. Here’s to the future, Bunkerites! Given that I was the only kid in my school to fail his cycling proficiency test, I decided early on in my life that climbing onto anything with fewer than four wheels was pure foolishness. Only now, many years later, do I find myself rethinking that strategy in light of the mind blowing geekyness of some of the suits now available to today’s high speed death-dodgers. Fortunately for me, I can’t afford any of them so I shall have to be content to just share them here and keep all my limbs intact. Ok, it doesn’t light up, but it does have reflective plates so if you can get somebody to shine a torch at you as you ride you can look like a total badass. 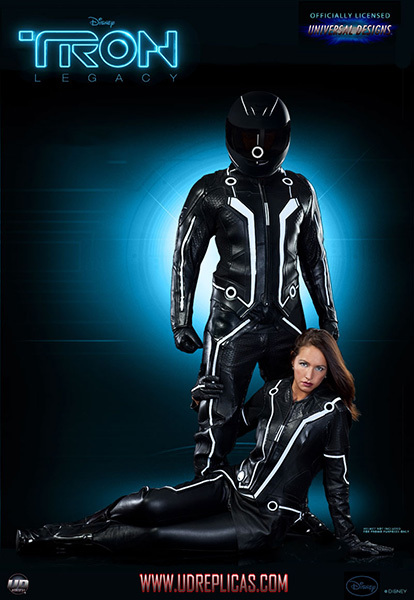 Besides, what else are you going to where while riding your road legal Tron bike? What better way to stay safe on the road than by wearing a helmet with no peripheral vision? 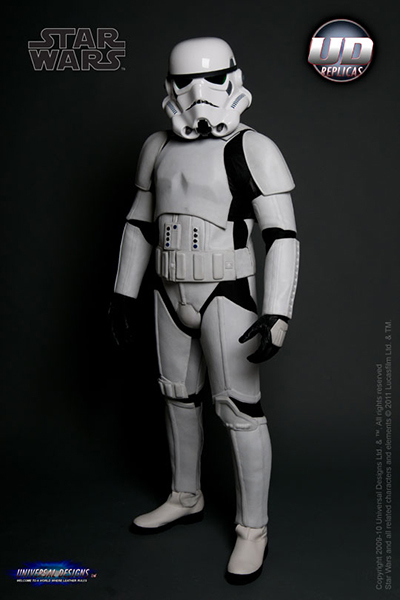 Yes, for just $1,147 you too can look like those famously skilled bikers, The Stormtroopers! Word of advice, best not to go riding in any forests…or around teddy bears. 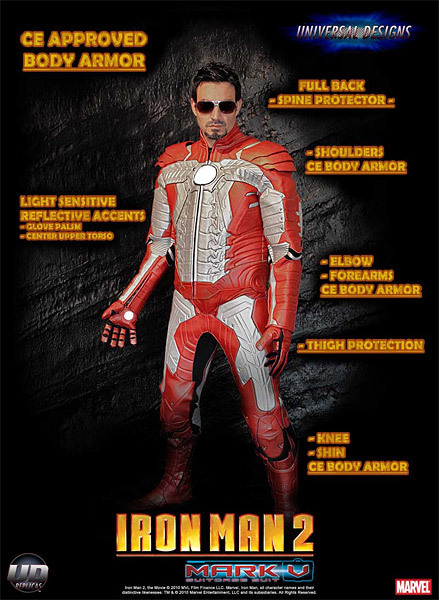 Perfect for any racetrack, it’s a replica of the Iron Man suit worn by Robert Downey Jnr while kicking seven bells out of Whiplash for messing up his F1 car. 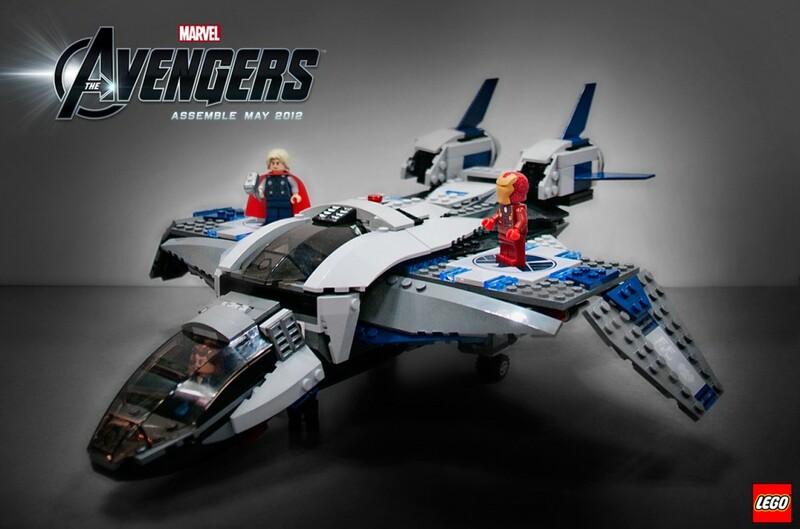 It doesn’t fly, or shoot repulsor beams, but it will make Pepper Potts fancy you and who doesn’t want that? This one comes with an added element of danger as the temptation to attach a cape and subsequently be dragged under the wheels of your own ride will be almost overwhelming. Fear the night, fear justice, but most of all, fear falling off and scuffing your awesome batgloves. Forget anything else. 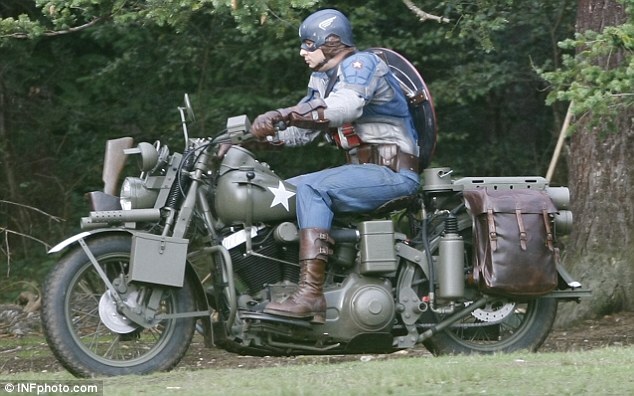 If you want to look like a true biking legend then the only option has to be this replica of Chris Evans’ uniform from Captain America. 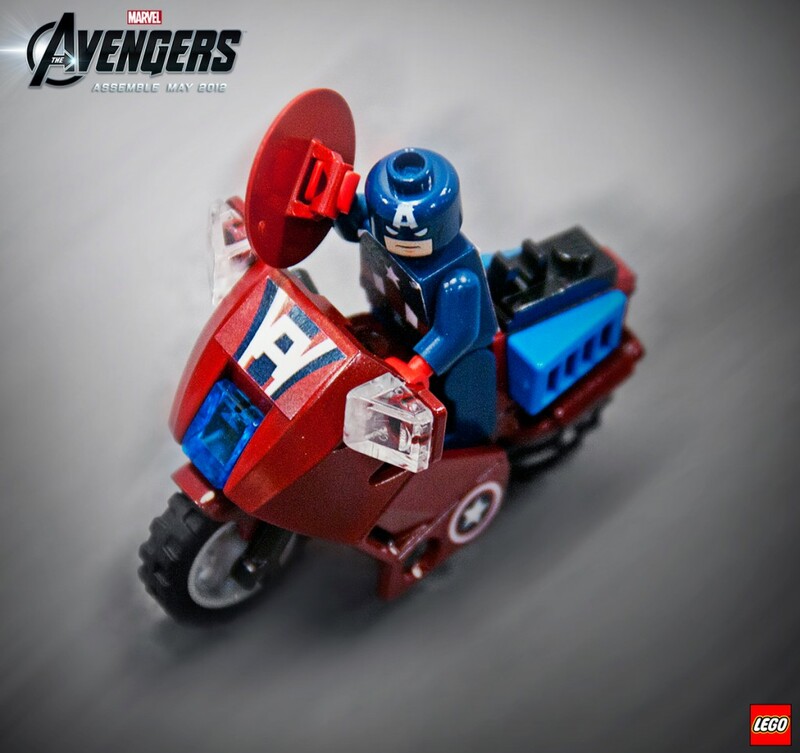 The shield and helmet aren’t included but you can pick them up from other places and best of all, you get to shout “Assemble” at bike meetings before riding off on one of the sexiest looking bikes in/from history. These suits are all made by some very talented craftsmen at a company called UD Replicas and if you have a lot of spare cash and the desire to ride a bike like a boss then you can pick these (and several others, including the awesome Daredevil and X-Men suits) from their website. Happy Saturday everyone. If you like popular science then you should probably already be subscribing to the fascinating youtube channel that is vsauce. In case you aren’t however, here is another fantastic video from them in which they take a look at the nature of time, how tall people live in the past and where we get the term “Chick Flick”. I’m out shooting a short film with James Eaton, Joshua Broadstone and Jack Gavin today. I’ll sling some more news up next week but until then why not check out our last film, The Devil’s Fork! It’s probably all the cold weather we’ve been having but this week Moon has mostly been kicking back to the sound of Swedish alt-pop. Specifically he’s been digging the Swedish alt-pop of Niki & The Dove. Like a lot of music from that part of the world, Niki & The Dove’s excellent single “The Fox” combines wonderfully imaginative and complex beats with powerful, soaring vocals. It also happens to come equipped with one of the coolest music videos that you’ll have seen in a while courtesy of the animators at WINTR. There are obvious comparisons to be made with the likes of Björk, but the duo have their own sound and are well worth checking out even if you’re not in to the pint sized Icelander. You can download the song for free here. Here’s a clip from the upcoming Ghost Rider movie to see if it revs your engine. First a high speed car chase through the desert to whet your appetite!! There are two directors, both of whom look to be stunt specialists. This sequence definitely bares that out. And before we write this off – take a look at this – Ghost Rider’s ability to infest any vehicle with his willpower takes new and brilliantly entertaining twists. I like the way he laughs as he does it. Wouldn’t you? 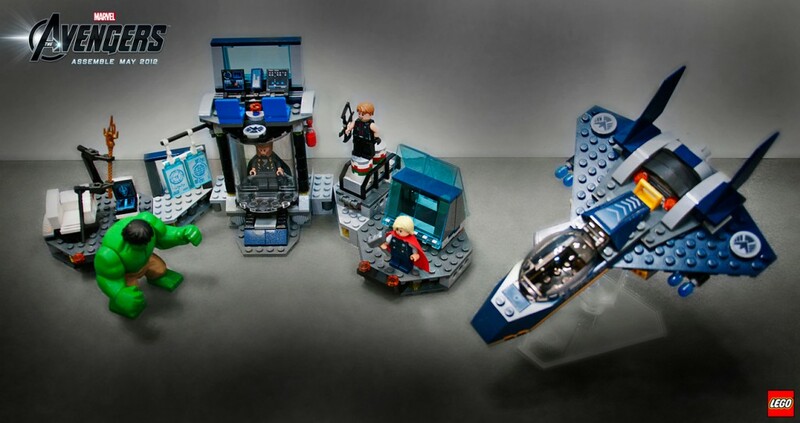 Hot on the heels of the reveal of Lord of the Rings Lego sets, Lego has followed up with a star-spangled doozy. 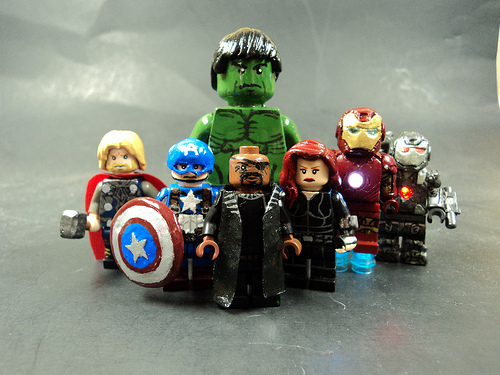 The Avengers are here and they’re up for a fight!! 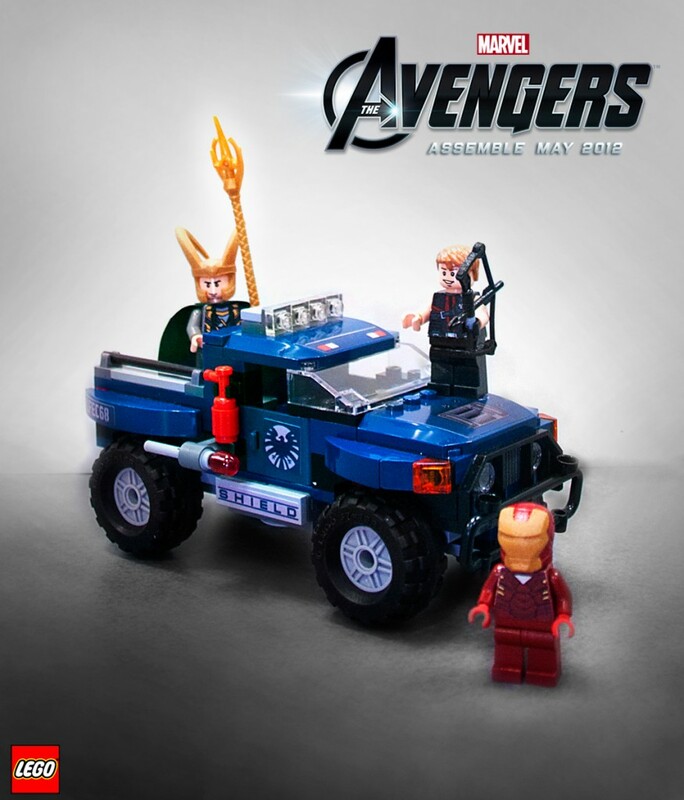 We know there’s gonna be some extra sets coming out when the movie makes it to our screens in the cinema. ‘Nuff chat. Here’s the rest of the first batch for you to take a look. At the bottom of the page remind yourself of your age and then remind yourself that that means you can afford it. Although here’s a mod done by some guy on the internet. Some people’s near futile creativity know’s no bounds. Pointless creativity High Five!! Those of you who follow me on twitter will know that I’ve been having a bit of a moan lately about how as a writer you’re never allowed to talk about the stuff you’re working on. It’s a one of the drawbacks of being at the very start of what is always a very long creative process but there are very good reasons for it. Many projects that get started go nowhere and if I went around every script that I started work on then you’d come to believe that we have an upcoming catalogue comparable to Marvel. 90% the stuff I start writing goes in the bin or goes back into the closet to be brought out at a later date and until one of those ephemeral ideas begins to coalesce into something more substantial, I don’t see any benefit in talking about it publicly. Which is all a rather round about way of saying that I probably have another new comic coming out later this year. Since Christmas I’ve been working on a new Unseen Shadows one shot for the follow up anthology to Tales of the Fallen (available from all good stockists and this one) and it looks like it’s far enough along that you can all know about it now. The script went off to Unseen Shadows editor, Barry Nugent, last week and, pending a few edits we should be looking for an art team in the near future. The comic itself is not a direct follow up to last year’s Band of Butchers but rather will feature a tale about Unseen Shadows’ front man, Napoleon Stone chasing down his old mentor in a story of friendship, betrayal and big fights in exotic locations. It’s been a real thrill to get a crack at writing one of the Unseen Shadows A-listers and, as always, Barry has proven to be a very fine editor indeed. The man knows his universe but he’s not afraid to let others play in it, the perfect combination to my mind. I’m now going to go back to doing that annoying “not talking about the project” thing as we need to secure the rest of the dream team that will bring this book together. As soon as I know more about stuff like release dates etc, I promise that I shall let you know. 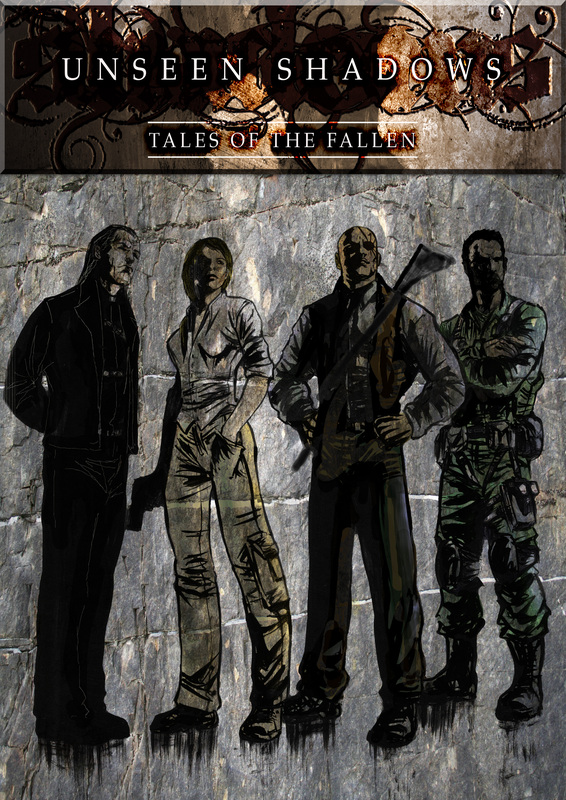 For now be content to know that if you dug Tales of the Fallen then you will be smiling even more by the end of 2012. Okay. What happened to Ghost Rider. Let’s look at this in written form. An ancient spirit of vengeance takes hold of a world famous stunt rider, intent on taking revenge on all those who cause pain and suffering. Awesome. So why was the last movie such a damp squib? He’s had Volume after volume after volume of books written on him so far – my favourite being Volume Four which pretty much launched Marvel Knights. In those days, briefly drawn by Howard Mackie and Salvadore Larocca on their way up – Ghost Rider was mainstream. Ghost Rider was Dan Ketch (the second incarnation after Johnny Blaze) a young man who’s spirit of vengeance was born with the death of his sister. More brutal, that Ghost Rider was the stuff that launched Blade. But Ghost Rider seems like nothing but a stunt rider now. He seems obsessed with Arizona roads and car chases. Makes sense given the character’s background but something makes me pine for a heavier, more savage, 18 certificate Ghost Rider. Bigger flames around his head too. The jury remains out on the movie itself. Idris Elba takes up his second Marvel role on this one and Nicolas Cage remains as Johnny Blaze (offered the part because he wanted it – a triumph of casting precision). Perrenial GR nemesis Nightwatch and Dan Ketch both appear in this one. No sign (in theory of Ghost Rider’s tougher, grittier cousin-in-flame Vengeance but that might be a surprise in waiting. Is it a return to Blade levels of dark action? Probably not based on this. Passably cool? Hopefully. One for the fans though I think though let’s see what happens. Best thing about modern special effects techniques is that it gives portly asian boys the chance to fight in extreme battle sequences with Kung-fu flipping warriors in High Rise parking lots. Thank God for After Effects!! Remarkably the Lightsabre hilts were made from sink taps which just goes to show you just how kitchen sink this production really was. Courtesy of Infectiousdesigner on Youtube. In November 1961 The Fantastic Four #1 hit the newsstands across America. The story of four uniquely powered individuals related to each other as relatives, in friendship and purpose, revolutionised the industry. Although clearly reminiscent of hundreds of Sci-fi books before this had a comparative naturalism to it that hadn’t been seen before blended with a cosmic purview informed by boundless imagination. 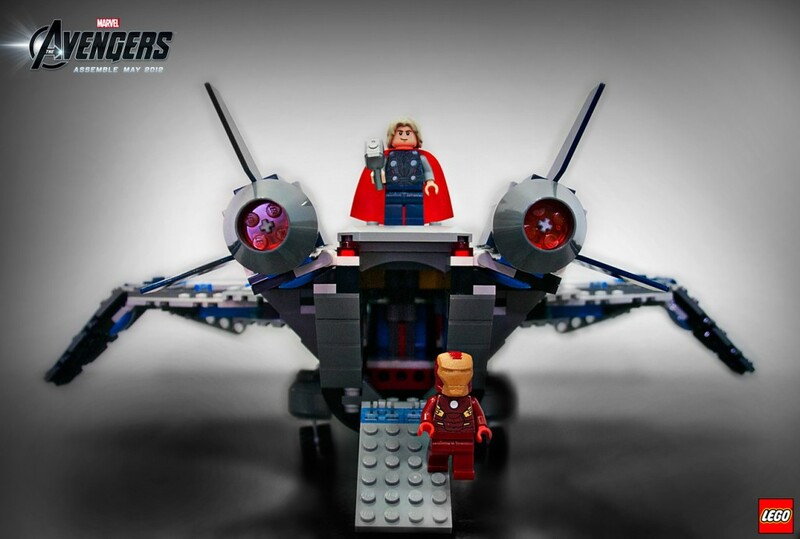 It was powered by Marvel Editor-in-chief Stan Lee and seasoned comics artist Jack Kirby. Highlights from the House of Ideas other than the Fantastic Four include: Thor, the Hulk, Iron Man, the original X-Men, the Silver Surfer, Doctor Doom, Galactus, Uatu the Watcher, Magneto, Ego the Living Planet, the Inhumans and their hidden city Attilan and the Black Panther – comic’s first black superhero – and his African nation Wakanda. Last year and 2010 Thor, Iron Man and the X-Men grossed worldwide ($1,425,062,845) One Billion, four hundred and twenty five million, sixty two thousand, eight hundred and forty five dollars (A combination of $623,933,331 for Iron Man 2, $448,512,824 for Thor and $352,616,690 for X-Men: First Class). 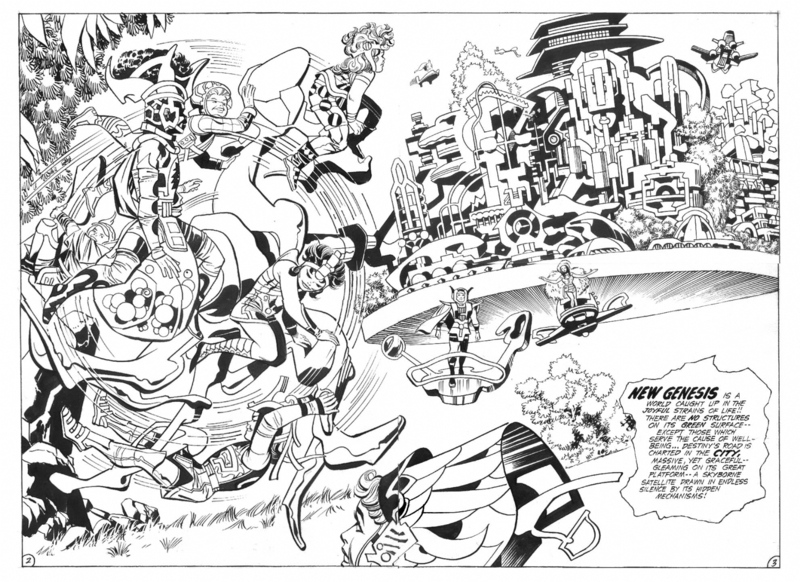 This was begun by two men, one of which was Jack Kirby. They cemented the concepts so clearly that while developed, the core values remain. All of them have the best writers, directors and actors vying to be a small part in the development of these ideas formed 51 years ago. Decades of the most talented artists have looked to Kirby for inspiration. His ideas as only presented more clearly, barely changed from the original concept design – perhaps drawn, in one case, on a table in Brooklyn many years before – with thoughts of war he hadn’t yet been called on to fight in his mind. In March 1964, Simon and Kirby’s Captain America was also incorporated into Marvel, Kirby approving Lee’s idea of partially remaking the characters as a man out of his time and regretting the death of his partner. The suit returned almost exactly as it had been 23 years before. 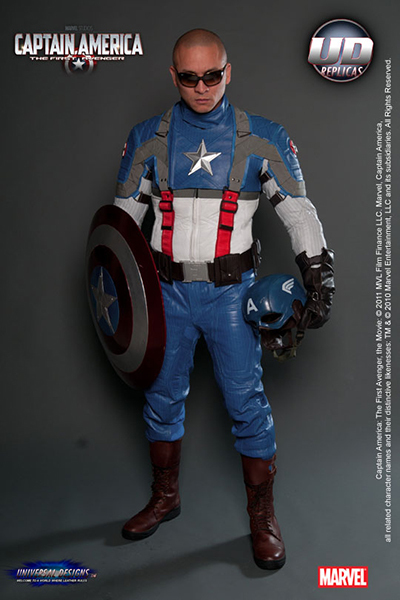 Last year, Captain America made $368,608,363 at the box office as Kirby’s suit stepped, again almost unchanged close to 70 years after the day it was designed on the back of Chris Evans. In 1968 and 1969, Joe Simon was involved in litigation with Marvel Comics over the ownership of Captain America, initiated by Marvel after Simon registered the copyright renewal for Captain America in his own name. 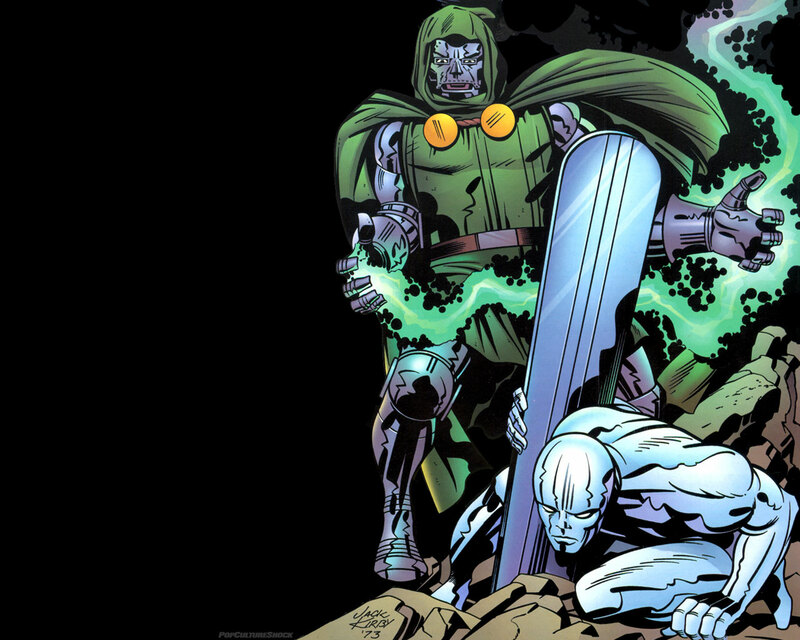 According to Simon, Kirby agreed to support the company in the litigation and, as part of a deal Kirby made with publisher Martin Goodman, signed over to Marvel any rights he might have had to the character. Kirby continued to push the industries boundaries, devising photo collage covers and interiors reminiscent of ’80s artists in England playing with sellotape and photocopiers. Developing new drawing techniques such as the method of depicting energy fields known as ‘Kirbydots’ and other experiments. Able to handle high detail, explosive composition, emotion, perspective, conceptualisation and design – it was Kirby’s sense of scale that blows many artists away. Alien engines dwarf figures in certain panels, coils, springs and rivets collected together in such ways that they seem to be an optical illusion. Perspective twists in some of his environments such as Mr Fantastic’s lab in a way that somehow bends the eye. 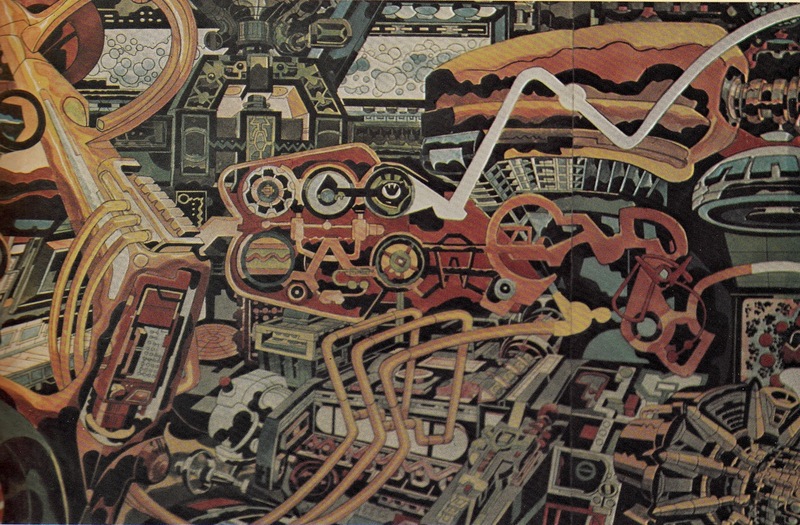 Many generations of artists have dismissed Kirby as dated or unsophisticated until presented with his depictions of machinery and the Silver Surfer. 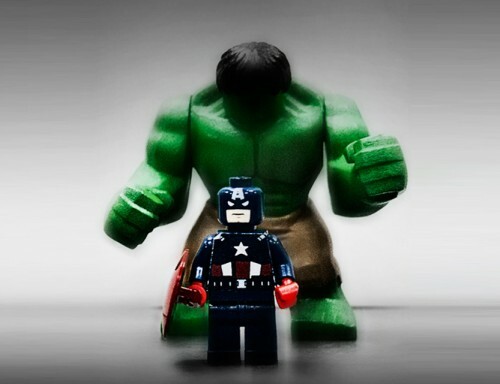 A character of incredible simplicity, divinity and … just … cool. The concept of a humanoid riding the waves of space at incredible speeds highlights the natural beauty and associations with divine advancement incorporating the universe around it and the increased simplicity it brings. But none of that is said. But all of it is inherent. A perfectly formed, universally accessible character made even more interesting by Stan Lee by being a good man acting as herald to a being of unimaginable power. Again, the genius of the character is that it is a perfect template that can be adapted into anyone’s style. Much like any Kirby character you can mention. The simplicity and intuitive details he applies are often so universal that they are only more interesting with each new reinterpretation. While Iron Man had to inevitably change as technology developed, Thor still carries the same Hammer and wears the same white riveted top, Captain America still has his Red, White and Blue, the star on his chest and the skull cap design applied to him in the newest incarnation, the Ultimates, by Bryan Hitch is a throwback to Kirby’s original design, Hulk remains Green (as he was in his second appearance) and even had a Grey countenance as Peter David’s Joe Fixit in the ’90s – a nod to the original design. 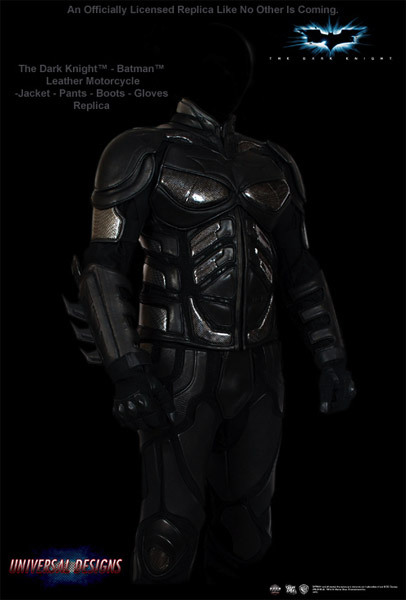 Black Panther, Magneto, The Inhumans and Attilan have also only ever been refined – never redesigned. This is the testament to the lasting influence of Kirby. Even the X-Men have retained the yellow and blue of their original uniforms for more than 45 years. Somehow Kirby just knew. Wiser than the rest of us what he put down on paper worked and generations of artists have never cracked how to improve on his original designs. Yet, Kirby grew increasingly unhappy at Marvel. 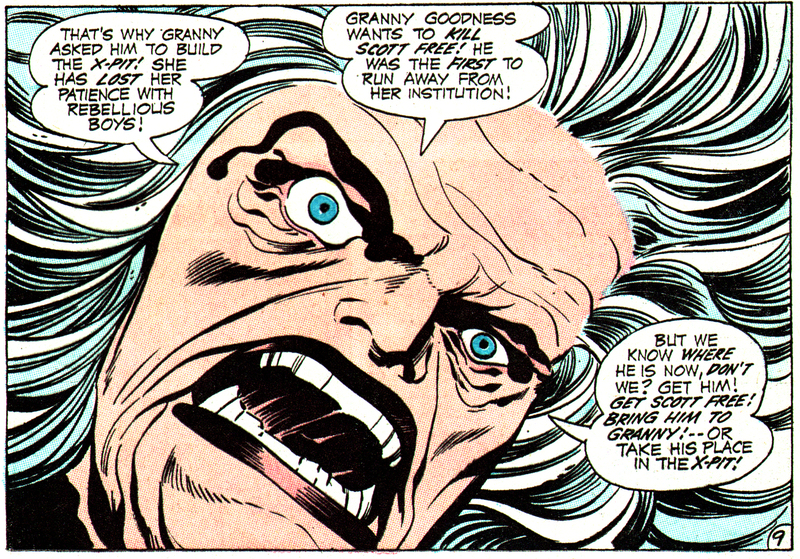 The reasons given for this included resentment over Stan Lee’s increasing media prominence, a lack of full creative control, anger over breaches of perceived promises by publisher Martin Goodman and at Marvel specifically for lack of credit for his story plotting, character creations and co-creations. He began to both script and draw some secondary features for Marvel, such as “The Inhumans” in Amazing Adventures, as well as horror stories for the anthology title Chamber of Darkness, and received full credit for doing so; but he eventually left the company in 1970 for rival DC Comics, under editorial director Carmine Infantino. Spending nearly two years trying to negotiate a three year contract with the option of staying on a further two additional years. In 1970, at the age of 53, Kirby joined DC and immediately started creating a ‘Fourth World’. A trilogy of New Titles – New Gods, Mister Miracle and The Forever People. He took on Superman’s pal Jimmy Olsen because the series was without a stable creative team and he didn’t want to be responsible for losing anyone their job. 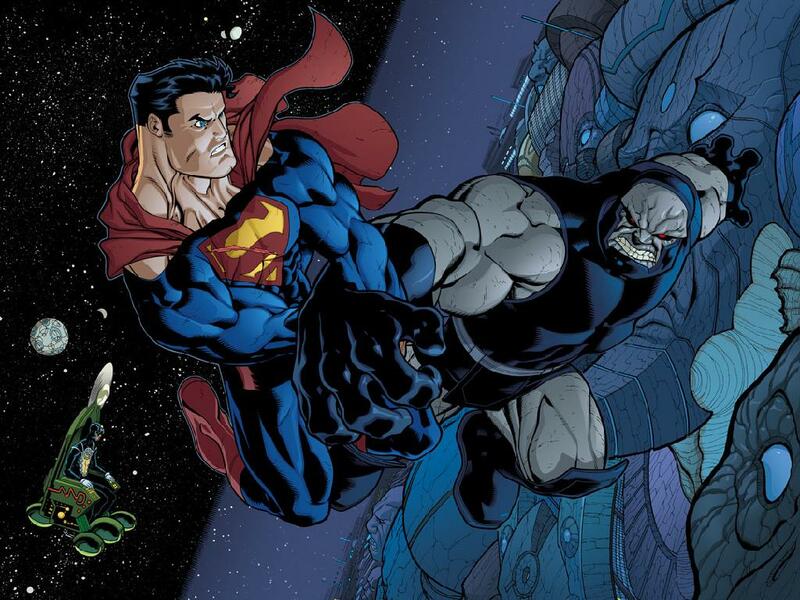 The central villain of the Fourth World, Darkseid, and some other Fourth World concepts appeared in the pages of Jimmy Olsen before being launched as their own series, giving greater exposure to potential buyers. Jack Kirby remained an incredibly shrewd operator, still demonstrating the guile and forward thinking that is expected of great creative directors. Though here he was without a company, working as he had always wanted to. As a creative. 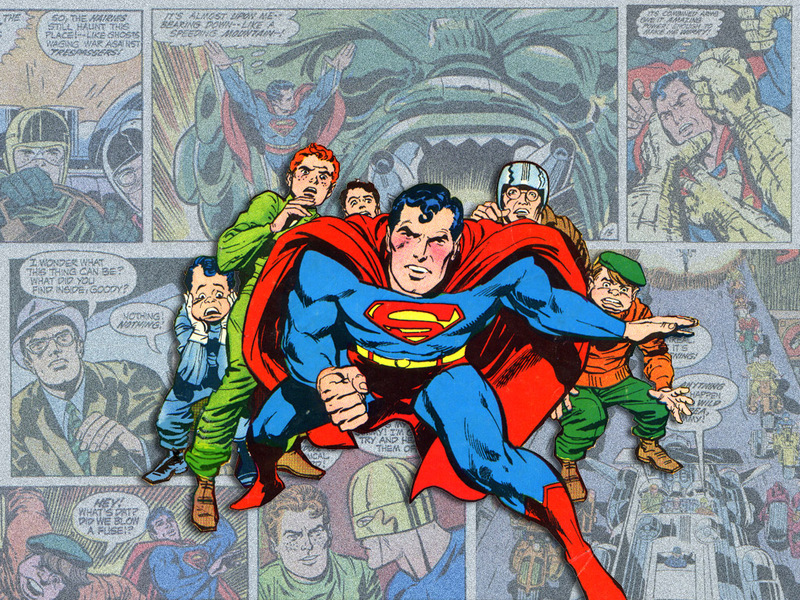 Kirby had a lasting effect on DC too, leaving characters that have recurred or consistently remained in the DC Universe, though not as centrally as the Marvel Universe. These included OMAC (seen in the Final Crisis crossover of 2009), Kamandi, The Demon, The Losers, Dingbats of Danger Street, Kobra and together with old partner Joe Simon for one last time, a new incarnation of the Sandman. Back at Marvel, Kirby both wrote and drew Captain America and created the series The Eternals, which featured a race of inscrutable alien giants, the Celestials, whose behind-the-scenes intervention in primordial humanity would eventually become a core element of Marvel Universe continuity. Kirby’s other Marvel creations in this period include Devil Dinosaur, Machine Man, and an adaptation and expansion of the movie 2001: A Space Odyssey, as well as an abortive attempt to do the same for the classic television series, The Prisoner. He also wrote and drew Black Panther and did numerous covers across the line. Still dissatisfied with Marvel’s treatment of him and with the companies refusal to provide health and other employment benefits, Kirby sadly left Marvel to work in animation. In that field, he did designs for Turbo Teen, Thundarr the Barbarian and other animated television series. 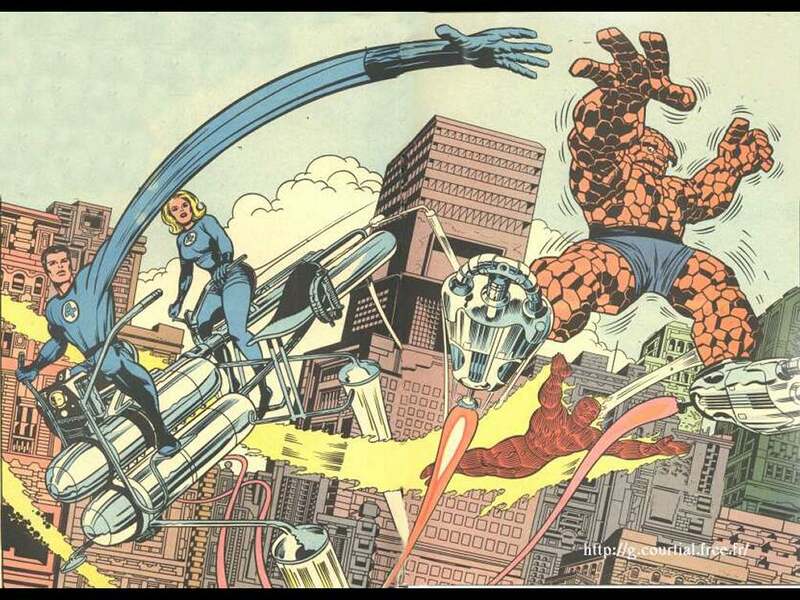 He also worked on The Fantastic Four cartoon show, reuniting him with scriptwriter Stan Lee. He illustrated an adaptation of the Walt Disney movie The Black Hole for Walt Disney’s Treasury of Classic Tales syndicated comic strip in 1979-80. In the early 1980s, Pacific Comics, a new, non-newsstand comic book publisher, made a then-groundbreaking deal with Kirby to publish a creator-owned series Captain Victory and the Galactic Rangers, and a six-issue mini-series called Silver Star which was collected in hardcover format in 2007. This, together with similar actions by other independent comics publishers as Eclipse Comics (where Kirby co-created Destroyer Duck in a benefit comic-book series published to help Steve Gerber fight a legal case versus Marvel), helped establish a precedent to end the monopoly of the work for hire system, wherein comics creators, even freelancers, had owned no rights to characters they created. Though estranged from Marvel, Kirby continued to do periodic work for DC Comics during the 1980s, including a brief revival of his “Fourth World” saga in the 1984 and 1985 Super Powers mini-series and the 1985 graphic novel The Hunger Dogs. And in 1987, under much industry pressure, Marvel finally returned much of Kirby’s original art to him. Kirby also retained ownership of characters used by Topps Comics beginning in 1993, for a set of series in what the company dubbed “The Kirbyverse”. These titles were derived mainly from designs and concepts that Kirby had kept in his files, some intended initially for the by-then-defunct Pacific Comics, and then licensed to Topps for what would become the “Jack Kirby’s Secret City Saga” mythos. 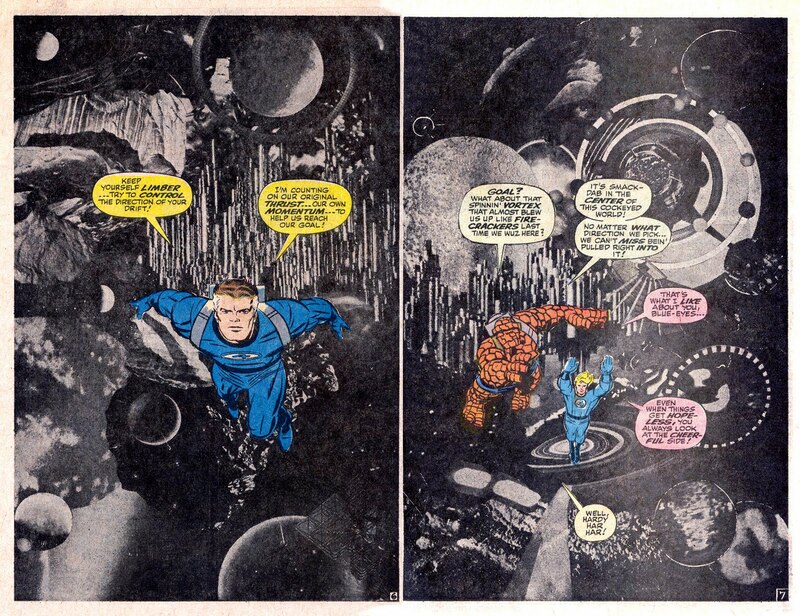 Marvel posthumously published a “lost” Kirby/Lee Fantastic Four story, Fantastic Four: The Lost Adventure (April 2008), with unused pages Kirby had originally drawn for Fantastic Four 108 (March 1971). On February 6, 1994, Kirby died at age 76 of heart failure in his Thousand Oaks, California home. He was buried at the Pierce Brothers Valley Oaks Memorial Park, Westlake Village, California.